Slappy, the demonic ventriloquist dummy and antagonist of this series, promises kids he’ll do their homework, household chores, and defeat the local bullies. The kids love him. Goosebumps 2 never jumps on the moral lesson of getting away with all of this though. Soon, it’s a melee of ghosts and witches, passe action that keeps things lively if entirely empty. Goosebumps 2 aims young, more of a fault as Slappy’s temptations never jump above a plot device. Plus, all the generic teen and pre-teen tropes, from fallen relationships to school hallway torment , drag down the pace. 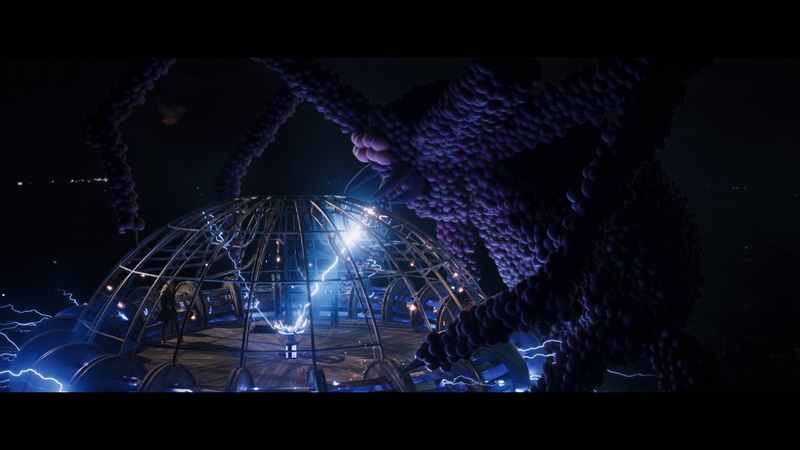 There’s not much energy or purpose in this script until the predictable special effects start doing their thing. Once in the hotbed of Halloween night, Goosebumps 2 throws everything at these kids. Headless horsemen, skeletons, witches, balloon spiders, murderous gummi bears, killer lawn ornaments – there’s nothing marginally scary Goosebumps 2 won’t throw at the screen. 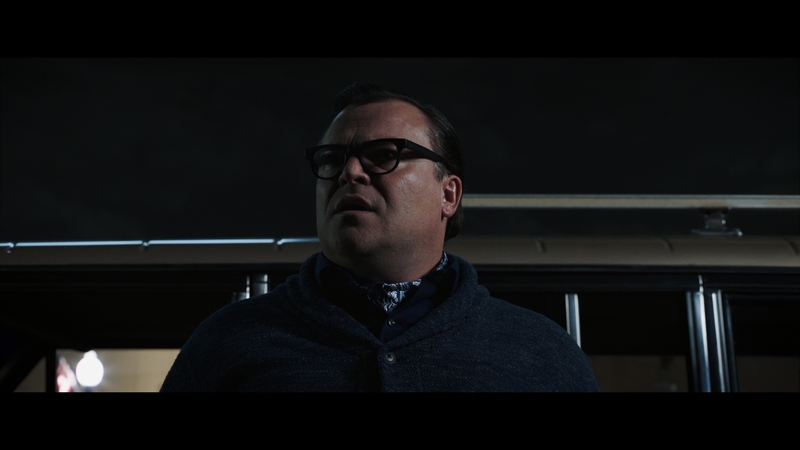 Jack Black takes a passive role in this sequel (he was filming A House with a Clock in its Walls) as author R.L. Stine. This one relies on the kids, a trio who need to sweep up the mess they started after they opened one of Stine’s works. Madison Iseman stars as the creative writer looking to land a college spot. Jeremy Ray Taylor is her brother, a Tesla aficionado, a bit of convenient plotting given where Goosebumps 2 finishes. Then, Caleel Harris, some comic relief with business sense. Each is fine in their parts, enough to give the generic script a bit of energy. Their antics keep the routine story moving, if not break out from their roles. Black steps out of his car near the end of Goosebumps 2, stating how his early work was so cliché. That’s meant to give Goosebumps 2 its out – Stine wrote this story while still a teen, thus the pedestrian nature. As escapism, Goosebumps 2 serves its corporate overlords. It’s colorful, quick, and enthusiastic. In terms of serving a demographic (and selling them tickets), there’s enough here to occupy some eyes for a bit. No one is learning anything though. It’s never challenging, and the problems so redundant, an infinite number of movies or TV shows suit the same purpose. None of those will feature a cackling ventriloquist dummy though, so at least Goosebumps 2 has that going for it. Easily one of the most intense examples of HDR, this brilliantly bright, glowing effort takes full advantage of this tech. Every light reaches for the maximum nits. Given the Halloween setting with a neighborhood enamored with decorating, that means a lot of light. By no means natural or realistic (the PlayStation 4 controller light bars sizzle like sun) but as vivid as they come. Goosebumps 2 even challenges the beast that is Pacific Rim in terms of range. This isn’t a transfer of only light, but also black levels and shadows. Once the sun sets, density reaches outstanding depth. Pure black sticks around, adding to the eerie aesthetic. From those darker areas, color jumps forward, highly saturated. Flesh tones render organically, while the swell of lights produce all manner of primaries. From the green glow of a witch’s face to the translucent hues of gummi bears, Goosebumps 2 makes full use of this color pass. Despite the clarity and vividness of the HDR, the 2K source lags in terms of detail. Certain shots contain visible processing. Wendi McLendon-Covey is especially affected, slightly smeary and bothered by noise. That saps texture from an already dulled source in terms of resolution. Softness remains the standard for the full runtime with limited relief. At least the thin, barely discernible veil of noise is well controlled by Sony’s encode. Without the brightness, some of the energy is lost by default. Still, the Blu-ray holds its own, elevated noise notwithstanding. The lagging sharpness isn’t as evident at 1080p. Detail still isn’t striking, but capable enough. Note the signs of on again, off again processing do show up here too. Great contrast and black levels make for an attractive image. Color stands out, rich and bold. Sony’s Atmos mix uses the soundstage in full. Flying monsters sweep around the speakers in droves. Screeching witches and ghosts pan front to black with no missed opportunities. When Halloween reaches its chaotic peak, it’s an all-out assault of activity. Screaming kids run around, jumping between channels. Killer gummi bears sound like a full army on the attack. The only whiff is moderate bass. With only a few peaks, Goosebumps 2 doesn’t produce the needed scale. When a giant spider drops its leg, there’s a jolt, but with all of the electricity flaring up, it’s a case of missing those high spots to accentuate the lesser ones. Three deleted scenes and a funny gag reel start things off. A fun making of titled Thrills and Chills uses some of the cast to fill space for 10-minutes. Costumes and effects earn their due in Meet the Monsters, running eight minutes. A few science experiments for kids features the cast as they do science-y things with Slappy. A sing-a-long, in-character commercial, and an audition for Slappy round off this – like the movie – routine. Utterly devoid of any message or substance, Goosebumps 2: Haunted Halloween is harmless, but routine and empty kids entertainment.